An wooden frame bed tray. It is adjustable to five different angles for reading, writing, etc. The legs fold out to allow the tray to be placed across the lap. 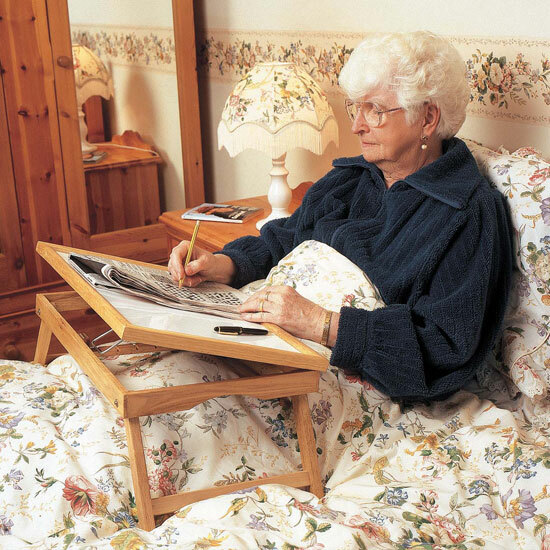 An attractive, practical wooden frame bed tray. It is adjustable to five different angles for reading, writing, etc. The legs fold out to allow the tray to be placed comfortably across the lap. The tray is laminated to allow easy cleaning.